Royalty-free stock illustration of an mature man dressed casually and smiling as he enjoys listening to music on his cellphone with earphones. Royalty-free stock illustration of an mature man wearing shorts talking on a cellphone looking as if he is having an important conversation. 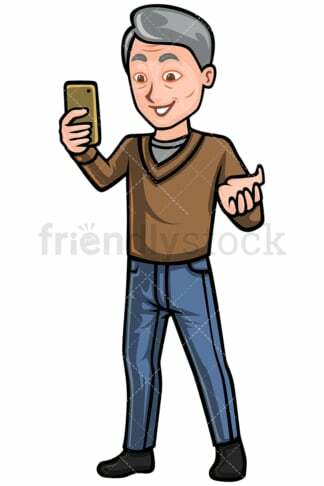 Royalty-free stock illustration of an mature man video chatting with someone on his mobile phone and smiling as he makes a gesture with his hand. 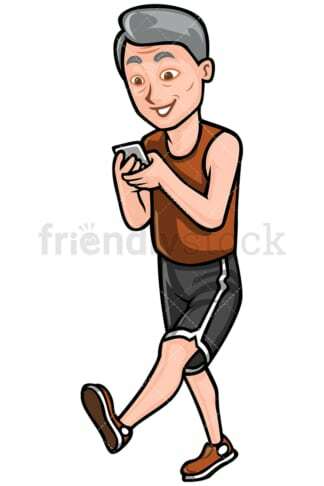 Royalty-free stock illustration of an mature man typing on his cellphone while walking, smiling, and looking absorbed and distracted. Dangerous situation! 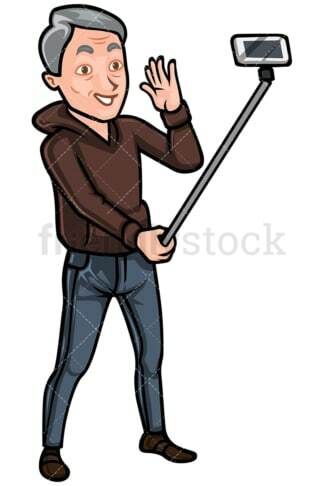 Royalty-free stock illustration of an mature man smiling, waving, and taking a picture with his phone while doing so, using a selfie stick. 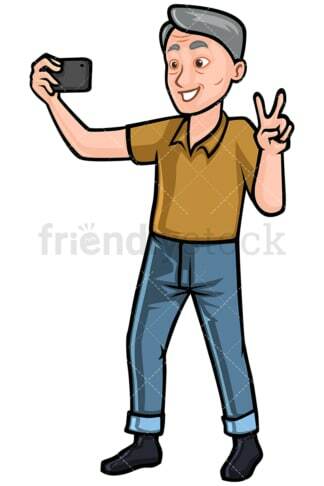 Royalty-free stock illustration of an mature man smiling and making the peace signal gesture with his hand, taking a selfie with his cellphone while doing so. Royalty-free stock illustration of an mature man talking on his mobile phone while walking, smiling, and making a gentle gesture with his hands as if he is explaining something. Royalty-free stock illustration of an mature man sitting on a lounge chair in his living room, smiling, and taking a selfie with his mobile phone. 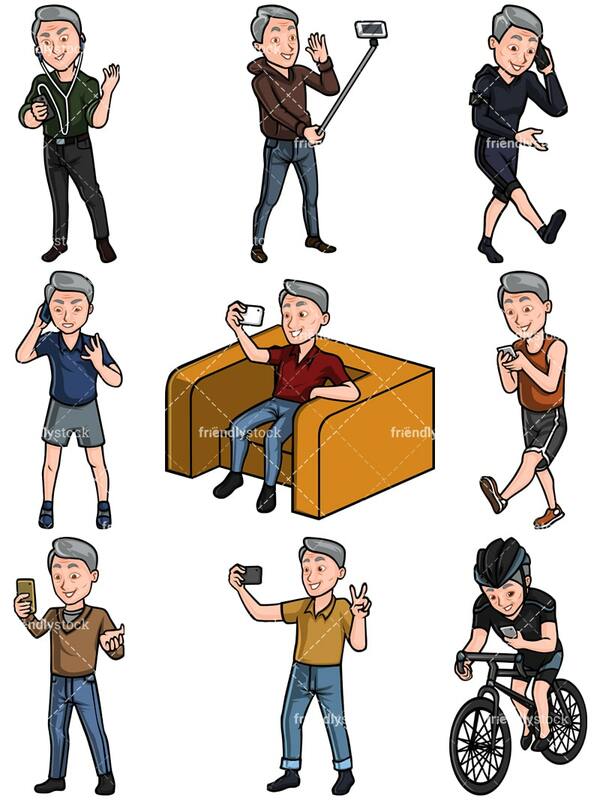 Royalty-free stock illustration of an mature man carelessly sending a text message to someone using a mobile phone while riding a bike.